They are found in wet fields, along shores and roadsides. 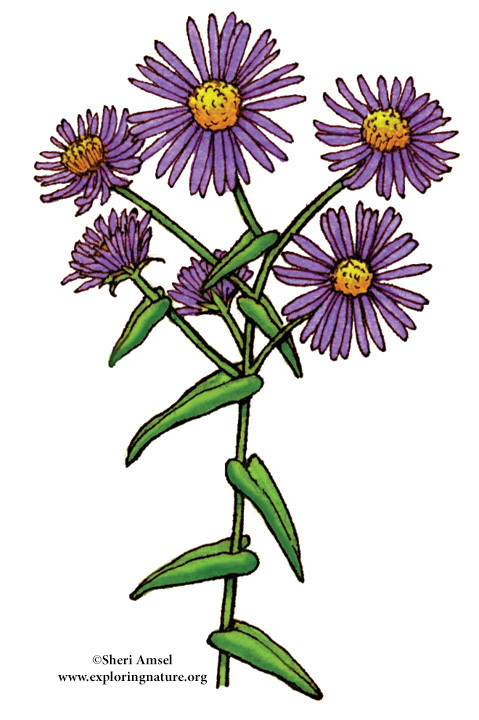 They have many small, light purple flowers with yellow centers bunched on top of a branching stem. The leaves are long, thin and pointed. They bloom July through October.